There are many kinds of mal- behavioural conditions in our pet population; many of which can be resolved, cured, altered or even managed, to make living together more harmoniously. 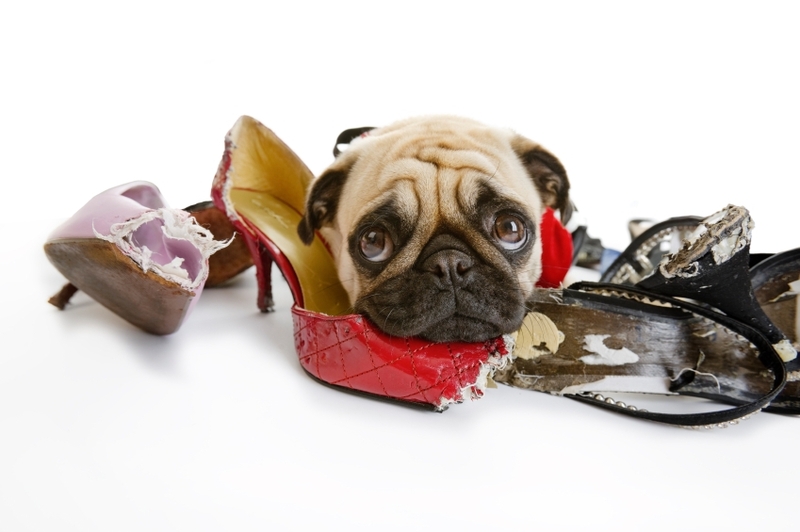 ‘Bad’ or problematic behaviour is often normal behaviour for the animal but unacceptable for the owner. Normal behaviour can be described as instinctive behaviour or expected behaviour for the species, breed and gender. Problem behaviour is often the result of a ‘wrong choice’ - a mismatch between the needs of the animal, the environment where the animal is being kept in, and/or the expectations of the owner. For instance: The different Terriers breeds are currently very popular and they make wonderful pets as they are alert, playful and affectionate - but: Terriers were bred to be rodent hunters – so they are genetically predisposed to dig holes. In a normal domestic environment it can result in huge conflict between an owner who wants an immaculate garden and the dog that ‘needs’ to dig because he/she is genetically engineered to do it! Changing behaviour that an animal is genetically predisposed to is not an easy task! Abnormal behaviour is more difficult to define: Abnormal means deviating from the norm - it is always behaviour that occurs among a minority of the animals of that species, breed and gender, is unprovoked and is usually harmful to the animal, other animals and/or humans. Deviation from the norm for the species, breed or gender could either be with regard to the intensity of the behaviour or the frequency – or even the lack of a specific behaviour and should always be evaluated in the context of the situation. Knowing all of the above gives us a better understanding as to why our beloved pets tend to do things, in the way they do. Remember, each animal has to be evaluated in its own context - what helps for one will not necessarily work for another. Aggression towards humans is a very difficult and serious problem which needs urgent intervention. Should your dog show aggression towards you, act swiftly and decisively by a stern reprimand. Should this not have the desired effect then consult with our vet or make an appointment with our in-house behaviour consultant. Please note it is imperative that you fill in our questionnaire before the appointment.